Other Officials and Township Staff Present: Frank Sturm II, Road Commissioner – Mark Brabant, Assessor. Others In Attendance: 6 residents. Call To Order: Supervisor Dawson followed by pledge of allegiance to the flag called the meeting to order at 6:30 PM. Clerk, Garner, presented the minutes of the Regular Board Meeting held August 8th, 2018. Supervisor Dawson moved to approve, as presented, seconded by Trustee Molohon; followed by a unanimous “Aye” voice vote with Trustee Clinch and Trustee Parr abstaining. Community Policing Report: Deputy Lauber was not present to present report. Supervisor Dawson asked for public comment. Supervisor Dawson recognized Jeff Johansen at 1518 E. Medina. He advised that his property is at the lowest area. He is having surface water issues in his crawlspace. He understands that he is responsible for repairs but asked if he could tie into drain line. Road Commissioner advised that the 4” pipe has collapsed. We had it cleaned this past Monday, but it seems to still be having problems. Trying to figure out a way to televise the line, but since it is only a 4” line, televising is difficult. We may end up replacing the pipe. The other issue is that residents have filled ditches. The ditches were designed to handle water. The road district would need to re-establish ditches to address the problem, but this would eliminate street parking. We are securing bids for replacing the line. If this is on right-of-way, then the Road District can address. But, the Road Commissioner would like to get feedback from residents before proceeding. 1. Investment Report: The Investment Report ending on September 11th, 2018 was accepted as presented by the board. 2. Supervisor Dawson contacted other local governmental units on youth activities. Information was secured from the IVC Athletic Director on field usage. 3. Supervisor Dawson and Road Commissioner Sturm met with Better Banks regarding interest on investments. Will continue to secure information and advise further. 4. 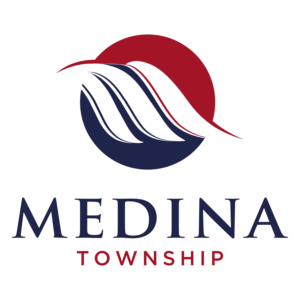 We have received letter from township counsel that the City of Peoria has not responded to our letter to extend agreement on forced annexation of properties in Medina. 1. Horowitz should have either finished up their contract work today or will tomorrow. They have done a terrific job. 2. Porter Brothers completed all of the tilling work. The rain last week delayed them. Will do the seal coat work in a few weeks. 3. Got a hold of my contact at Cargill, who has been telling me since last March that contracting directly with them for our salt would not be a problem. They told me that all of their salt is now spoken for, and they can’t provide anything. I am currently working with Heinz Trucking, who thinks they can get us a barge (1,500 tons). I also have the phone number for Morton Salt’s customer service representative, who I will contact if the deal with Heinz falls through. 4. Haven’t heard anything more about our 1998 tandem. 5. Peoria County might have a fall tire collection for government agencies. They will let us know soon. 6. Payment to Limestone for Kubota mower has been requested. Still receiving calls from residents on assessments. Not present to present report. Trustee Clinch inquired if any striping of road is planned for this year. Road Commissioner has no plan for further striping work. Park Fence Update: Supervisor Dawson advised that fence work is to begin on September 16. Security Fence Co. should complete repairs within a week. Wolfe & Tesar Audit Feedback: Supervisor Dawson recognized Virginia Love with Wolfe & Tesar who provided an overview of the report. In their opinion, the financial statements referred to them present fairly, in all material aspects. Internal Control Communications letter was reviewed. Communication with governance letter was reviewed outlining no significant difficulties with management in performing or completing the audit were encountered. Other audit findings or issues were discussed. Transfer of funds within the Park Fund: Supervisor Dawson requested board approval to transfer $2,000 from line item 140580 (Miscellaneous Expense), in Park Fund to line item 140500 (Salaries), making the adjusted appropriations for the first line item $3,000. After discussion, Trustee Clinch made motion to approve transfer, seconded by Trustee Parr. Supervisor Dawson requested roll call vote. A roll call vote taken by Clerk Garner, with Supervisor Dawson, Trustee Parr, Trustee Gudat, Trustee Molohon, and Trustee Clinch voting “Aye”. The motion passed. MMYBSA 2018 year feedback: Supervisor Dawson recognized Josh Benway, President of MMYBSA. He outlined their summer activities and presented team photo plaque. MMYBSA had another successful year with fifteen teams. Discussions held on Brad Wallin St. Jude Tournament for next year. MMYBSA expressed their gratitude for the Township’s continued support. Medina Park Cleaning Maintenance: Supervisor Dawson provided details of condition of park at the end of the season in preparation for Mossville Junior High School baseball. Supervisor Dawson had cleaning service rectify the situation thoroughly cleaning the bathrooms. Supervisor Dawson expressed surprise at the poor condition of facility. Township/Road District Bills Audited: All bills of the Town and the Road District were audited and approved for payment. All bank accounts were reconciled and found to be in order. Trustee Clinch moved to pay the bills, seconded by Trustee Gudat followed by a unanimous “Aye” voice vote. Adjournment: There being no further business to come before the board, Trustee Molohon moved to adjourn, seconded by Trustee Parr, followed by a unanimous “Aye” voice vote. The meeting adjourned at 7:56 PM.